Hydrocodone is one of the most frequently prescribed painkillers, often under the brand name Vicodin, Lortab, Norco, or Lorcet. There are generic versions of the drug that vary in Hydrocodone strengths and are cheaper than branded ones. With this opioid medicine being quite widespread, drinking on hydrocodone remains a big concern both for doctors and the society. The drug works to inhibit pain signals to the brain hereby relieving serious pains, making this drug highly effective as a pain reliever. This drug also falls into the category of schedule II drug which is highly addictive on abuse and presents with a remarkable amount of health problems especially when one is drinking alcohol while taking hydrocodone. Why is Mixing Alcohol with Hydrocodone Dangerous? What are the Side Effects of Drinking on Hydrocodone? What is the Minimum Break Time Between Alcohol and Opioids? Is There a “Safe Amount” of Alcohol to Take With Hydrocodone? Often time’s ardent drinkers indulge in mixing alcohol with hydrocodone. This is common with illegal self-medication as mixing alcohol and hydrocodone introduces a “party time” effect. Mixing hydrocodone with alcohol will increase the feeling of high but will also put pressure on the nervous system which becomes visible over time. Hydrocodone-alcohol combination can cause irreparable damage to the body. Hydrocodone and alcohol may have pleasurable effects on the on-set such as a feeling of euphoria and a numbing highness; however, this feeling has long-term risks if unchecked. 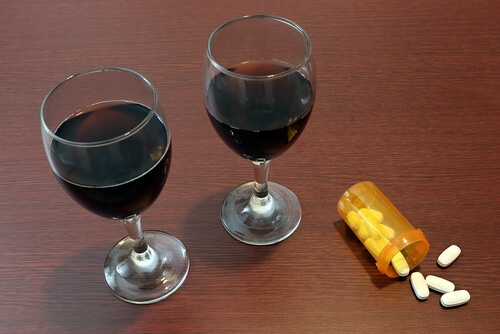 Both alcohol and hydrocodone have similar neurologic effects such as intoxication and a feeling of high, as both can cause relaxative changes in the system. Hydrocodone with alcohol can cause escalated distortions in breathing and heart rate which can lead to heart failure, Coma and even death. It is quite unfortunate that a remarkable number of people die every day from the misuse of drugs such as Adderall and hydrocodone, with alcohol mixtures. The United States alone records hundreds of millions of opioid prescriptions yearly and these cuts across all demographics. A large number of these opioid prescriptions contain pain inhibitors, such as hydrocodone chlorpheniramine syrup and the likes. Drinking while taking hydrocodone is fatal due to its combined depressant effects. 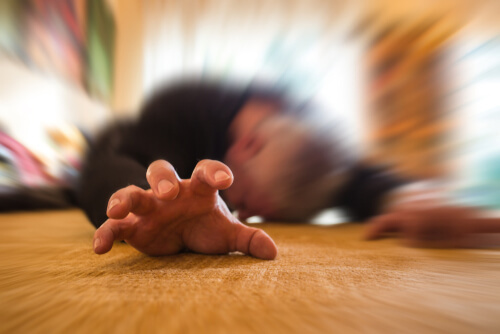 Abuse of the drug on it own can cause Hydrocodone hangover which is medically referred to as the after effect of taking large quantities of hydrocodone. Some of these effects can also be experienced through hydrocodone lean. This usually involves mixing the drug with various carbonated drinks for pleasure or indulging on hydrocodone – homatropine syrup high. It is also mention-worthy that the route of exposure does not decrease the content of drug from the body; this refers to harmful crude techniques such as snorting hydrocodone. How Long After Taking Hydrocodone Can One Drink? When opioids are taken, they find their way into the bloodstream and are absorbed into the body. After these opioids are metabolized and re-absorbed they are channeled to the excretory system and deposited in the urine. How long after taking hydrocodone can I drink? A safer period to consider taking alcohol would be from the 5th day after the last dosage typically. It is imperative to talk to a medical professional about specifics such as the dosage amount and other factors that may affect the half-life of the opioid such as age, weight, and other factors associated with alcohol with hydrocodone reactions. How long after drinking can I take hydrocodone? Alcohol metabolizes within 10-12 hours in the body and is eliminated from the system within 3-5 days. This would suggest that the 6th day after drinking alcohol is safe to take hydrocodone. This is an estimation on when it is safe to take hydrocodone. Drinking on hydrocodone is a huge risk, so in order to be completely safe from a health crisis, it is best to confide in a medical doctor for further directives. Again, this is highly dependent on earlier mentioned factors, and there are no safe amounts. Discussing these probabilities and conditions with one’s doctor is imperative. It would be unsafe to make assumptions as both contents have a strong effect on the nervous system and can lead to an overdose. Drinking with hydrocodone often occurs out of ignorance, addiction to alcohol while on medication or vice versa. 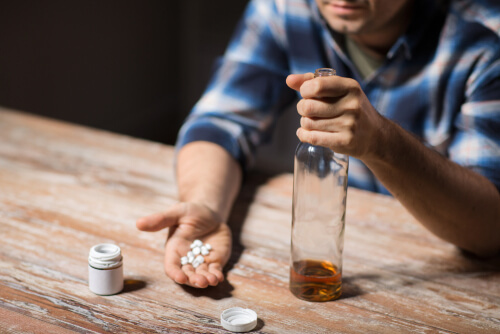 In cases where hydrocodone and drinking are likely to occur due to addiction to the opioid, it is necessary to seek the help of a medical professional who would provide adequate counseling on hydrocodone acetaminophen alcohol interactions and how to manage addictions. Many facilities offer treatments for drug abusers and provide counseling for early detection, management, and system detoxification to enable a complete body cleansing from the addictive drug. If you or your loved one is experiencing signs of addiction to opioids or interactions between hydrocodone acetaminophen and alcohol, contact us immediately for counseling and support. Need help with drug addiction or experiencing symptoms of alcohol & hydrocodone reaction? Give us a call now, on our free helpline (888)-459-5511 for more information. All calls are confidential; take that step to a healthier life today.